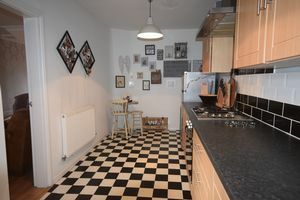 Tradition features and tiled floor. 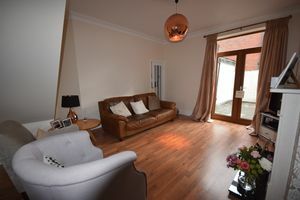 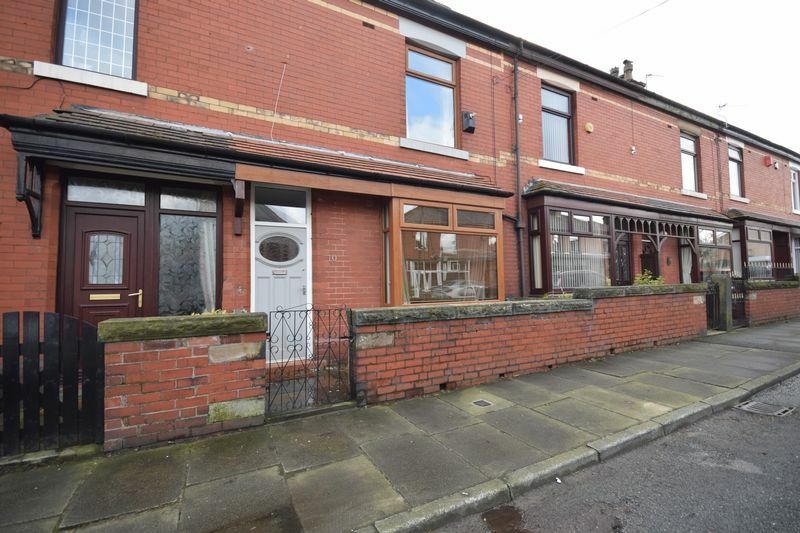 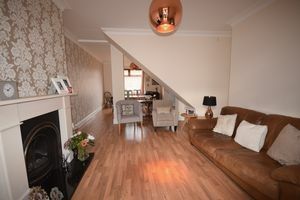 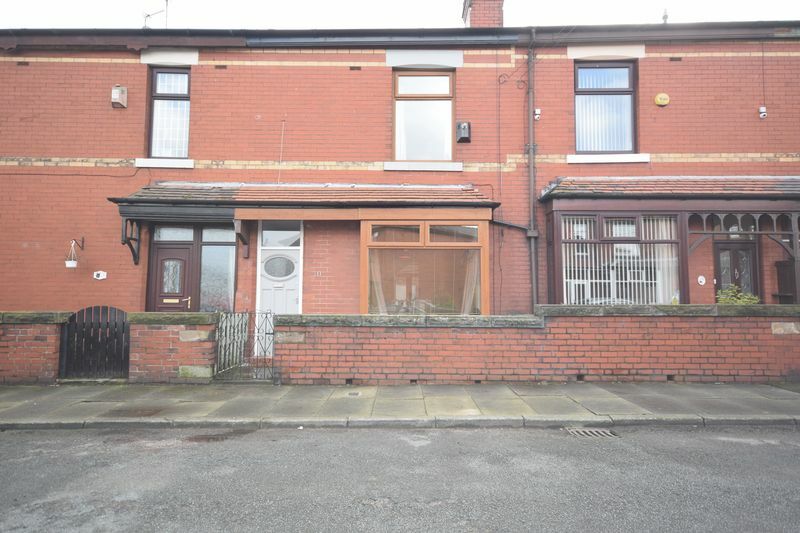 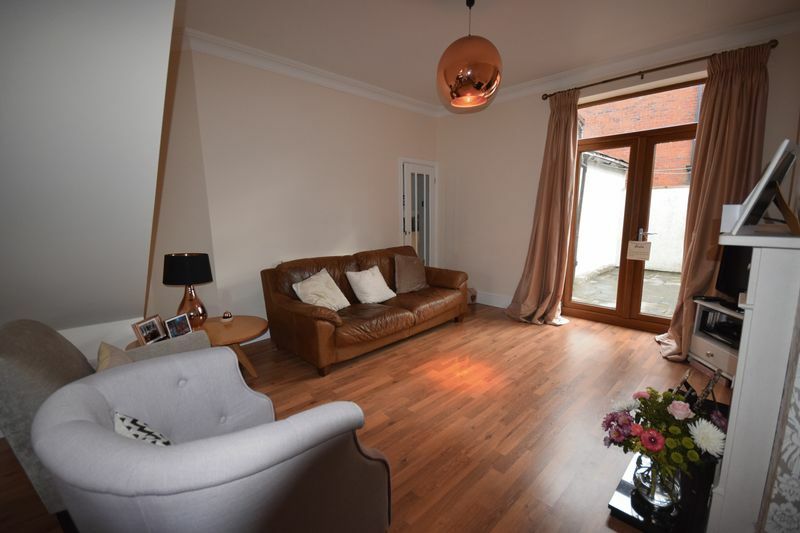 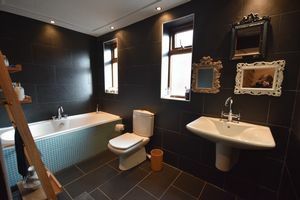 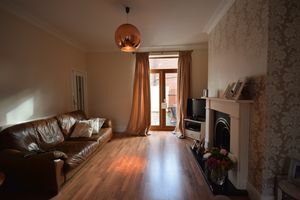 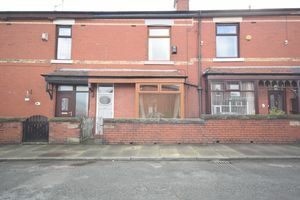 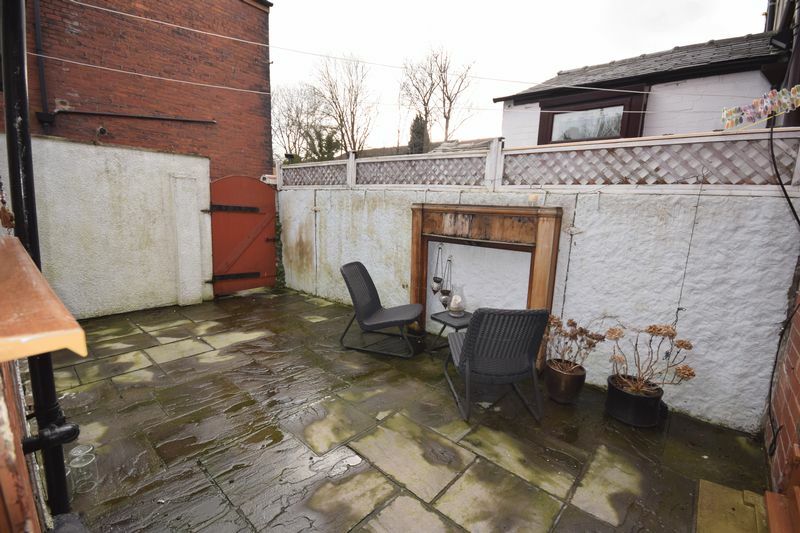 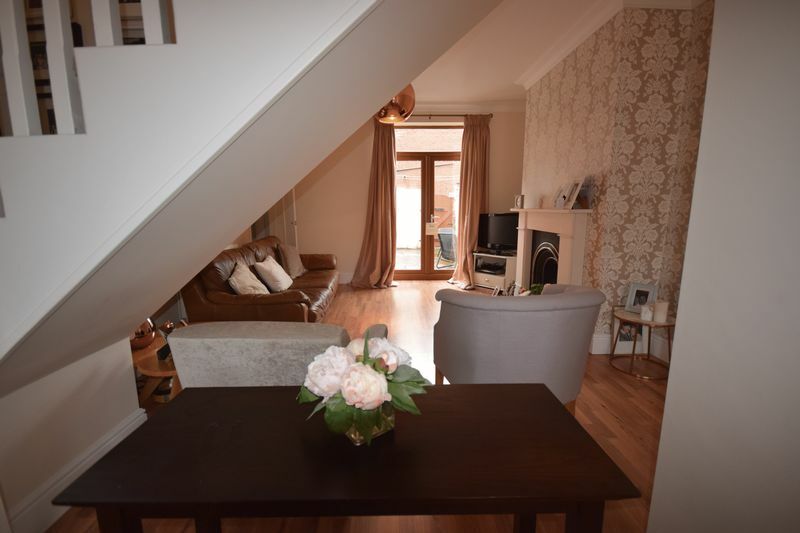 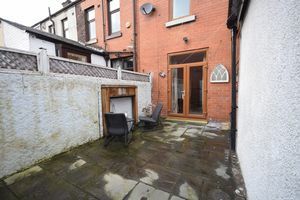 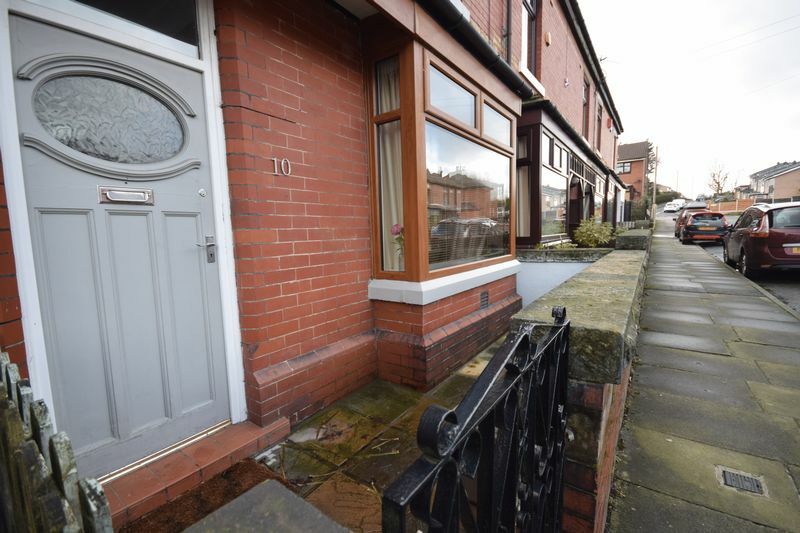 Front facing upvc square bay, wooden flooring, two double radiators, dining area, lounge to the rear, feature fire place, marble hearth, gas fire, stairs to first floor bedrooms, tasteful decor and rear patio doors leading to court yard garden. 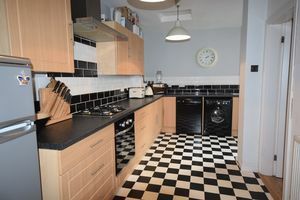 Modern L Shaped (width reduces to 7x3 )kitchen with a good range of wall and base units, brick effect splash back tiling, complementary worktops, hob, oven and extractor, inset sink, Upvc side window and rear exit door. 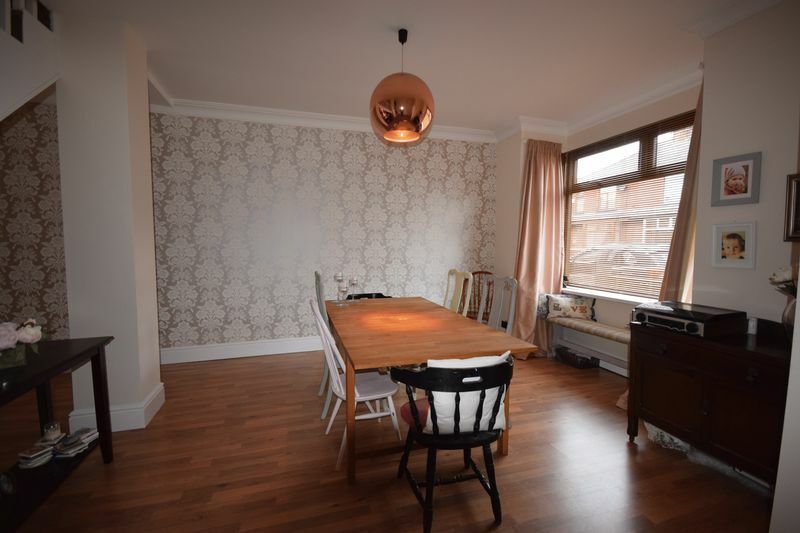 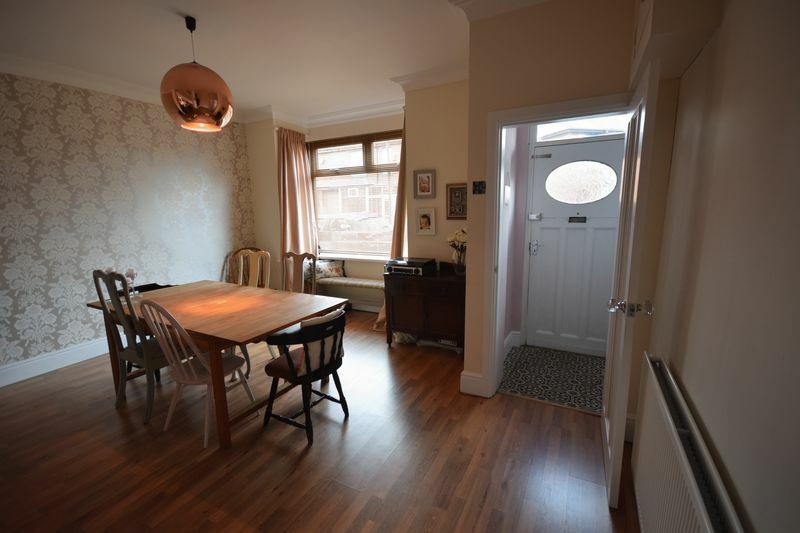 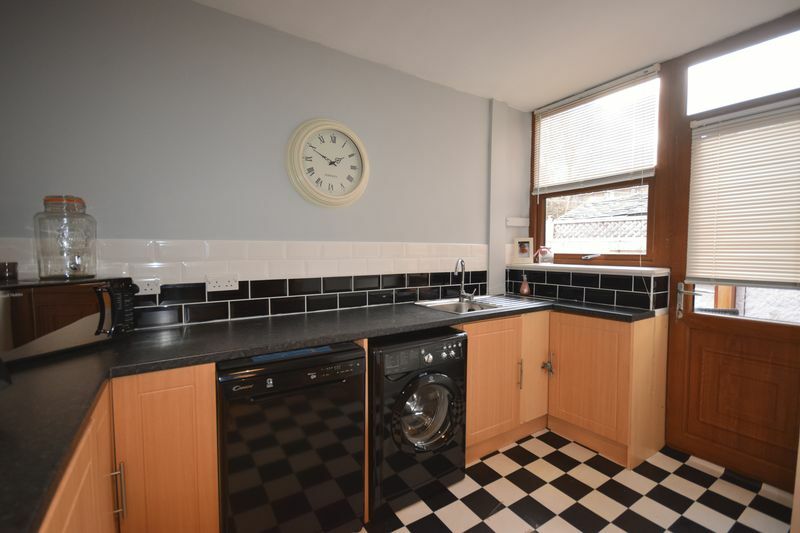 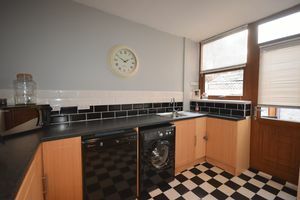 Vinyl flooring, radiator plus breakfast area. 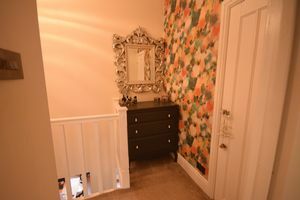 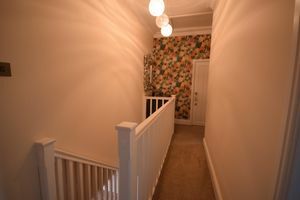 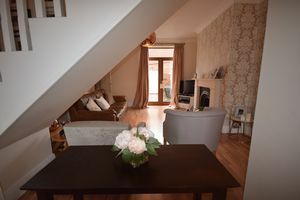 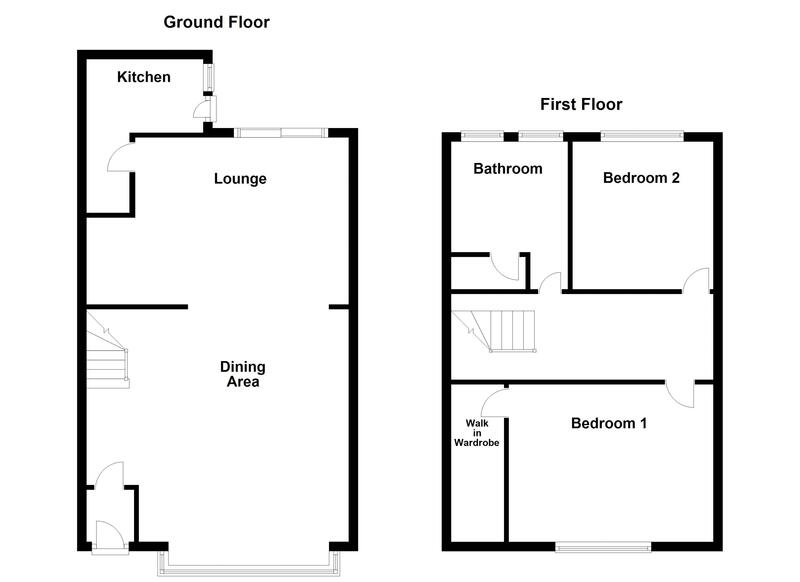 Stairs to first floor bedrooms, carpeted, access to loft via pull down ladder, potential to convert into a bedroom (subject to planning) and storage cupboard. 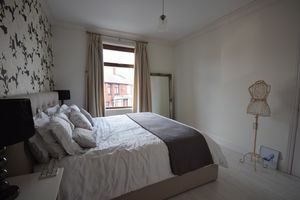 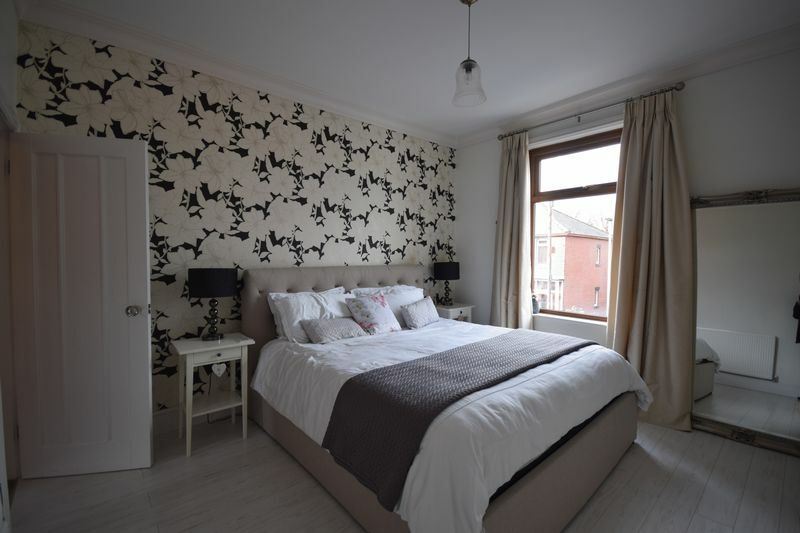 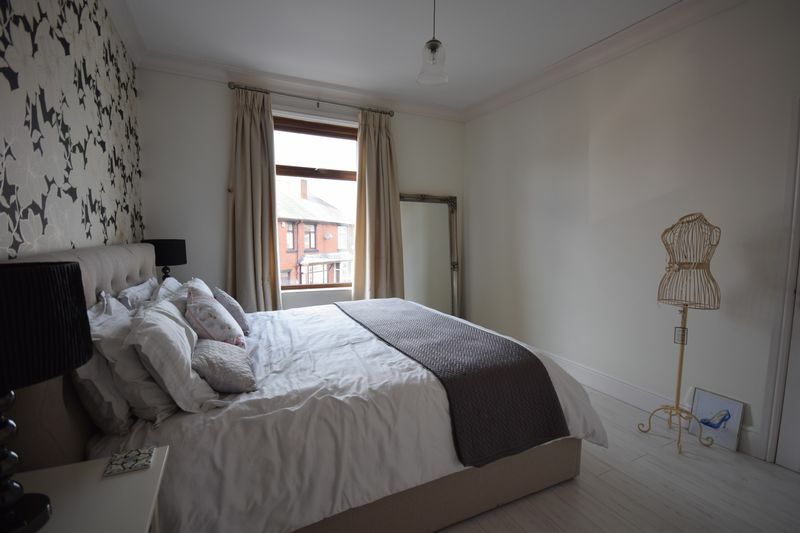 Double room, wooden flooring, front facing Upvc window, double radiator, neutral decor, traditional features and WALK IN WARDROBE. 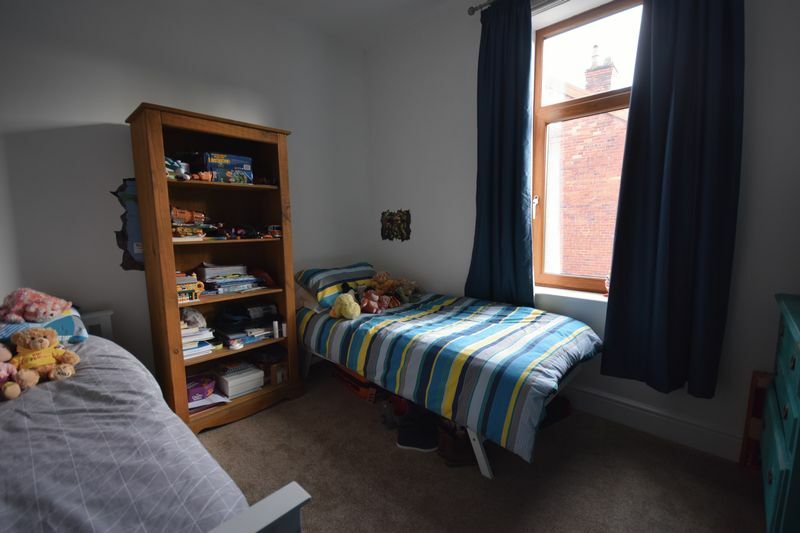 This room has the potential to be converted into two rooms. 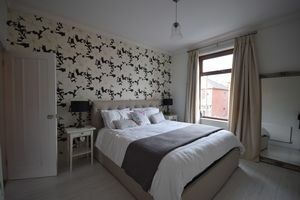 Double Room, rear Upvc window, carpeted and neutral decor. 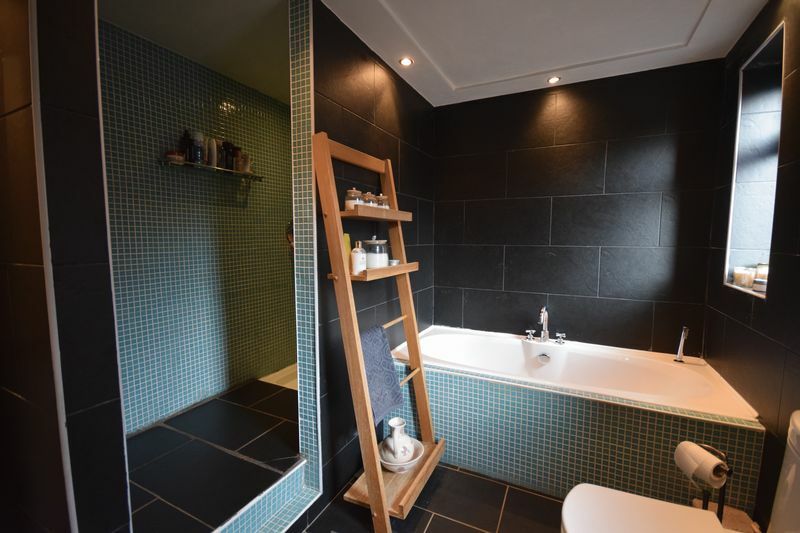 Two rear Upvc windows, separate walk in shower (7x6.3x4), low level wc,hand basin, panel bath, inset ceiling lights and fully tiled. To the front is a stone forecourt garden with a larger secure stone flagged garden to the rear.